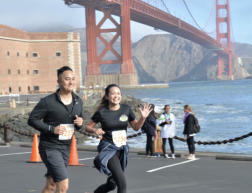 Excerpt from JCYC Up Close Winter 2019 Mahalo to all of our 8th Annual SF Aloha Run supporters, participants, sponsors, individual donors, community partners, and volunteers for helping us deliver another wonderful event at the scenic Crissy Field in San Francisco! The event was a tremendous success, and we could not have done it without tremendous support from so many wonderful supporters. This past September 23rd we had a fantastic sold out turnout of over 1,200 adult and children runners and walkers (including dogs)! 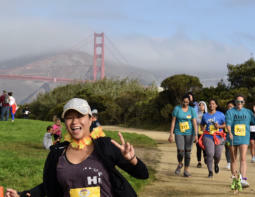 JCYC is delighted that our SF Aloha Run 10K, 5K, Keiki Run, and Tot Trot participants continue to grow each year, with runners coming from all over the country and abroad – we had runners join us all the way from Chile, Australia, England, and Finland. After eight successful years of hosting the SF Aloha Run, our new and returning participants have become a part of our extended JCYC family. This event provided a morning full of activity that brought us all even closer together, thanks to the fun Aloha spirit under San Francisco’s September sun. Relive the experience by checking out our highlight photos on the homepage of the JCYC website here www.jcyc.org! Also, a list of our 2018 sponsors is provided below. 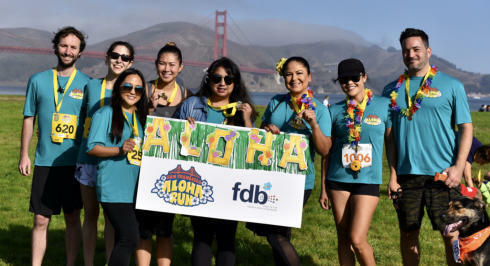 Mahalo again for supporting JCYC’s largest Annual fundraiser, and we look forward to having you join us for our 2019 SF Aloha Run on Sunday, September 22nd, 2019 - mark your calendars! JCYC is extremely grateful for our growing list of sponsors, including our running teams, whose generous contributions take us a long way. Last year we dedicated $30,000 to the JCYC Scholarship Program, and thanks to the tremendous support this year, we will be able to do even more in 2019! To download a complete version of JCYC Up Close Winter 2019, click here. 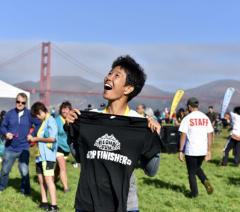 Top Finisher, Rie Nagayama, soaking in the applause!